Market Snapshot for Apogee South Beach, Condo/Villa/Townhouses, residential community in Miami Beach, Florida. 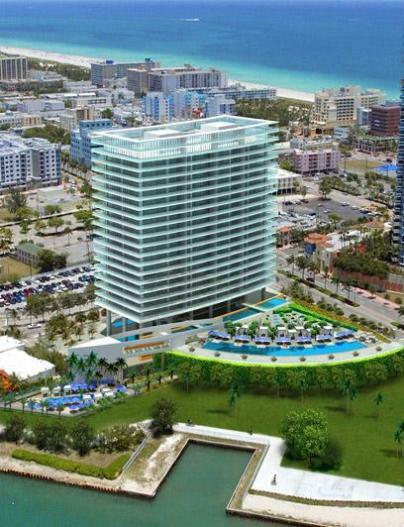 Apogee South Beach Condo/Villa/Townhouses is located at 800 South Pointe Drive, Miami Beach, Florida, 33139. This residential community was built in year (2008) and currently offering (5) Condo/Villa/Townhouses for sale in Apogee South Beach, with price ranges from $7,290,000 to $9,250,000. Whether you are looking for most up-to-date Apogee South Beach, Condo/Villa/Townhouses, residential community or another luxury development in Miami Beach, Florida to Buy or to Sell, our website will provide you with the most up-to-date luxury homes and condos for sale in the city of Miami Beach. Apogee South Beach is more than just your home. It is your masterpiece. A place created by you and for you, Apogee was designed not only to impress but to inspire, just as art inspires the heart to soar and the mind to awaken to new and glorious possibilities. Beckoning you to live life on a higher level and ready to fulfill even those needs you have yet to discover, Apogee is the very pinnacle of modern luxury living. Situated on a 2.88 acre site and 500 linear feet of unobstructed bay front views, Apogee condominium provides the backdrop for unlimited possibilities and pleasure. Only a select few are being invited to live this life, and fewer still will ever have the privilege of calling Apogee condo their home. Every Apogee condo was conceived to be THE most luxurious waterfront property in all of South Beach-each unit meant to be the equivalent of an “estate in the sky.” Apogee South Beach is the pinnacle of lifestyle with the best of luxury, technology, privacy and service. The crown Jewel of Jorge Perez’s Related Group, Apogee has a level of luxury unlike any other project in this renowned developer’s 25-year history. As the most expensive per-unit project Perez has done, Apogee redefines what luxury is in Miami Beach and South Florida. Boasting some of the biggest names in the realms of design and architecture, Apogee will contain influences by acclaimed Sieger-Suarez who were chosen as the planners behind the building’s striking modern and chic overall architecture. Furthermore, the internationally distinguished firm of Yabu Pushelberg has added its own inimitable touch to the building’s beautifully designed lobby and common areas. 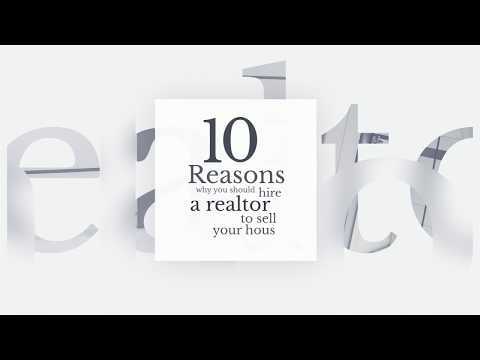 With the most spacious terraces (with summer kitchens!) in South Florida, Apogee invites you to become one with the outdoors from your magnificent “residence in the sky.” Flow-through ocean and city views serve as the breathtaking backdrop to the countless delights and comforts of your one-of-a-kind home. Top-tier amenities await you at every turn, and onsite facilities are beyond compare. All apartments have 10-foot ceilings, 11-foot wide balconies with outdoor cooking built-in, two dishwashers in the kitchen, two Miele smart ovens and warmer drawers, rain shower heads and sunken tubs in the master bathroom (some units), sub-zero wine storage for 132 bottles, custom lighting schemes and many apartments were upgraded with a lighting package sometimes consisting of more than 100 recessed lights throughout the residence. The list goes on. The finest wood finishing for cabinetry, steam showers (some units), a mini emergency kitchen in the master suite, decked-out closets, dramatic ocean and city views and the most exclusive service of any building. From the concierge to all its attendants, pool personnel and employees, the level of service is unheard of. A flawless marriage of lifestyle and innovative thinking, Apogee offers the most technologically advanced residences in South Florida, featuring unparalleled, futuristic “smart lifestyle” technology. With Apogee, you’ve reached the epitome of perfection. South Beach offers all of the excitement, style and convenience of a metropolitan city and then some. The two most famous streets remain the perpetual tourist spots of Lincoln Road where locals frequently walk their spoiled canines and Hollywood’s top movie stars shoot scenes for the next sleeper film or blockbuster. 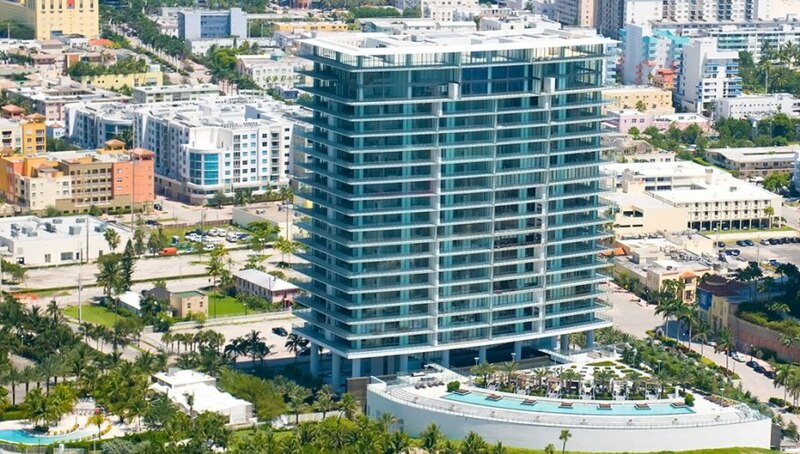 Apogee South Beach is located at the southern tip of Miami Beach, tucked away between the Portofino Tower and the Murano at Portofino in the trendy South of Fifth Street District. 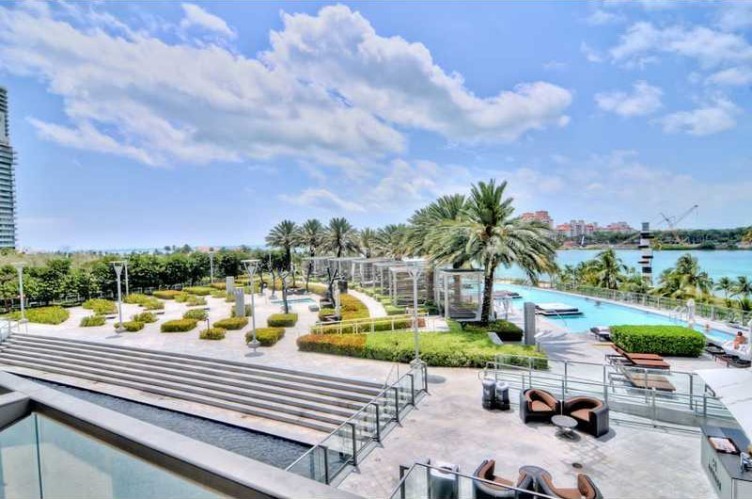 Because of the building’s excellent location, you’ll be right in the heart of South Beach and you’ll have dazzling vies of the waterfront and beautiful Fisher Island. Not far from Apogee is the Miami Beach Marina, allowing practically anyone to take their luxury yacht across the glistening waters of the beautiful Atlantic. The famed Joe’s Stone Crab, Smith and Wollensky, and Prime 112 restaurants are just seconds from the condominium, all have maintained their popularity for numerous years as some of Miami Beach’s top dining establishments. Apogee is the epitome of privacy and exclusivity, with each condominium home being the equivalent of a luxury Penthouse residence in the sky. Apogee South Beach is more than just a Miami Beach Condo, it’s a lifestyle you’ll only discover in stunning South Beach in sun-kissed South Florida. Only two floor plans available: 3,103 sq. ft. and 4,145 sq. ft.